Gift someone you love with a ROlex ! 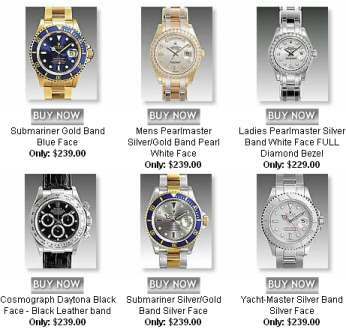 Subject: Gift someone you love with a ROlex ! Leno, a defense witness in Jackson's molestation trial, delivered only one gentle gibe at the pop star's faltering career before interviewing Thomas Mesereau Jr. Referring to a rumor that Jackson could start a show in Las Vegas, Leno joked in his monologue, "He's going to be playing Diana Ross in the 'Legends Show.'" The comic turned serious when questioning Mesereau, who called Jackson a "misunderstood" musician who could never hurt a child or conceive of holding a family hostage. Jackson, 46, was acquitted of charges earlier this week that he molested a boy at his Neverland Ranch, gave him alcohol and conspired to hold his family captive. He has not spoken publicly since the trial ended.